One of the only commercial properties on Ogden in Western Springs. 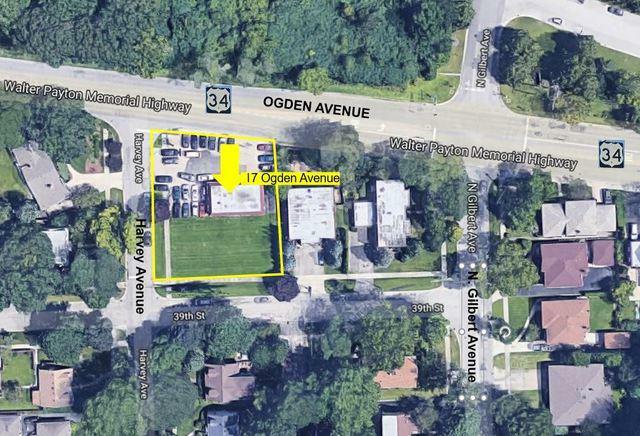 Rare Opportunity with a superb Western Springs location on Ogden and Harvey Avenue. Just before hard corner of Gilbert & Ogden. Very near Nazareth & St. Josephs schools. Brick single story 2688 SF Building +/- currently used as an automotive repair facility. Sitting on 13755 SF +/- land parcel (105' x 131'). Current zoning is R2. The land behind the automotive facility is also included. Highly versatile location & ideal for a redevelopment, real estate office, retail store or the current use. No sign on property. Call listing agent for all showings. Please do not disturb current employees.